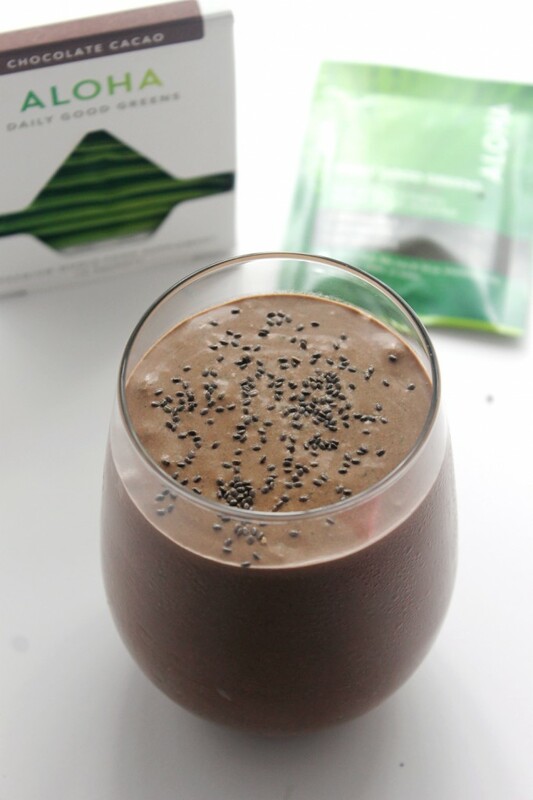 Packed with nutrients and superfoods, this chocolate banana superfood smoothie is super rich, creamy, and delicious. 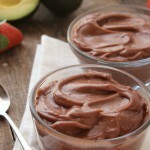 It’s incredibly easy to make and is even vegan and gluten free. 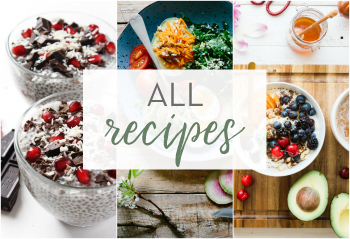 Want more these types of healthy recipes? You can find more at ALOHA.com! Lately, I’ve been doing little things here and there to boost my health. Like for instance I’ve started doing daily exercise to keep myself in shape and clear my head. Another thing I LOVE doing to boost my health is making smoothies. 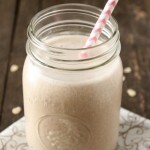 Especially super delicious smoothies that are packed with enough nutrients to help me jump start my day. 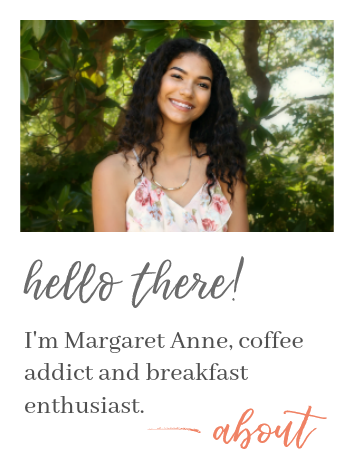 I used to have a coffee maker on my kitchen counter, but now I’ve got my blender in its place—I found a better way to get energy in the mornings! I’m sure I’m not the first one to realize that smoothies are energy-packed flavor bombs. But the idea is totally revolutionary, you guys. So let’s talk smoothie ingredients. Organic smoothies don’t taste significantly better, but they do contain significantly less toxins and harmful pesticides. 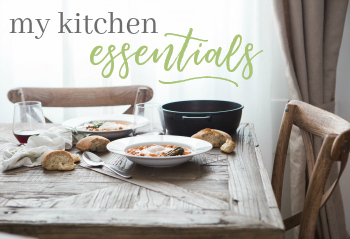 Going the extra mile to source organic ingredients isn’t necessary, but highly recommended. I’ll be honest—I’m not the kind of gal who’s got containers of fresh spinach and kale in her fridge at all times. But GUESS WHAT?!?! 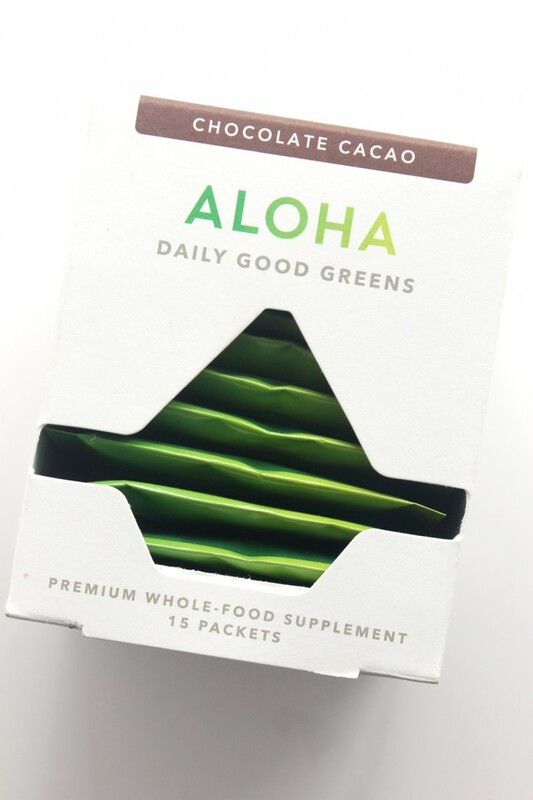 I’ve recently teamed up with ALOHA and they were kind enough to send me a box of their Daily Good Greens Premium Whole-Food Supplement (Chocolate Cacao Flavored). AKA: superfoods, chocolate, and greens in one tiny packet. Seriously though, in one packet, there’s spirulina, spinach (! 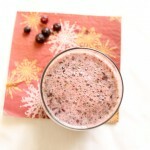 ), moringa, peas, wheat grass juice, wild blueberries, raspberries, cacao, coconut water…I could go on and on (and on). 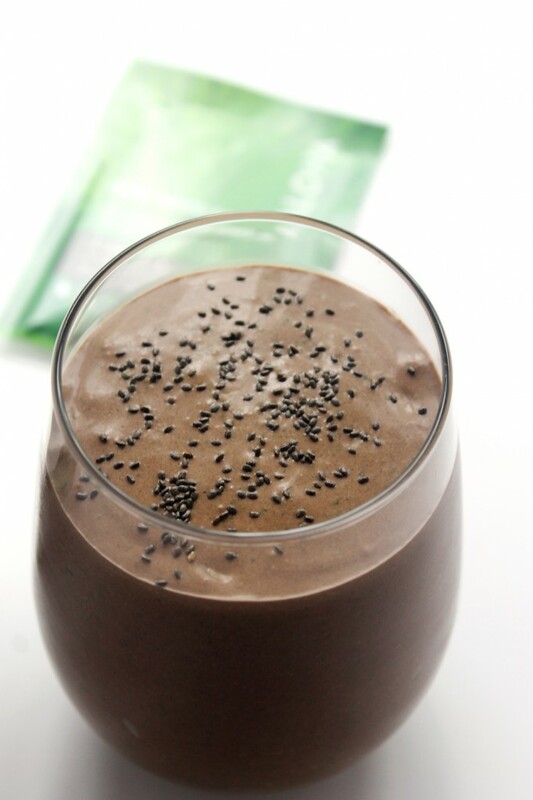 I’ll take a chocolate banana superfood smoothie over a boring cup of Joe any day. 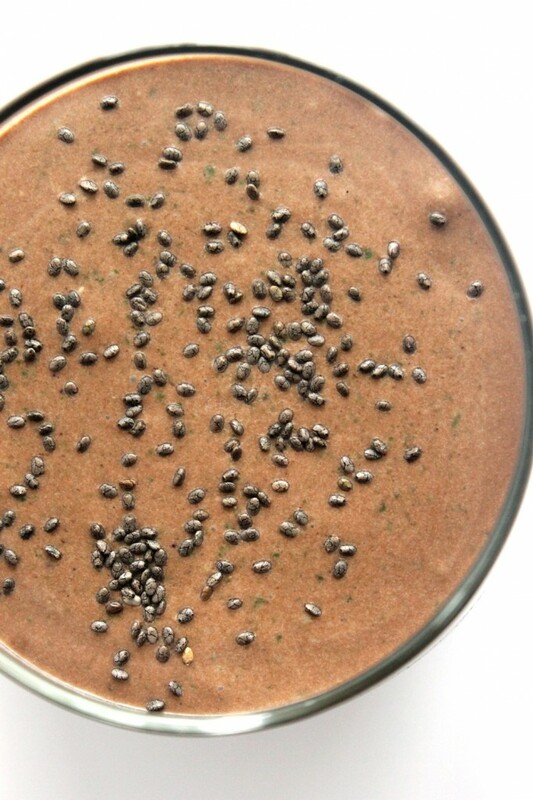 This smoothie is creamy, light, chocolaty, not overly sweet, and really delicious. 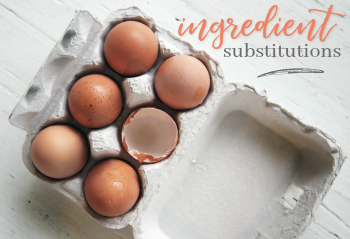 It makes two large servings, so if you’re just making this for yourself, pour the rest into an empty bottle and place it in the fridge until the next day. Sprinkling chia seeds on top is totally optional, but as I’ve made known, I’m pretty obsessed with chia seeds and look for an excuse to add them to anything. In this case, my chia seed fraaands are pretending to be sprinkles. 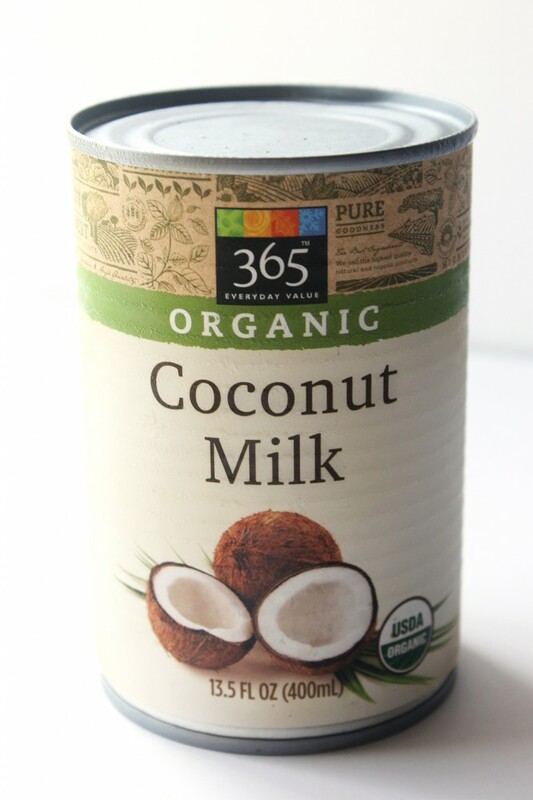 Also, since this smoothie is vegan, the recipe calls for 1 can of coconut milk. 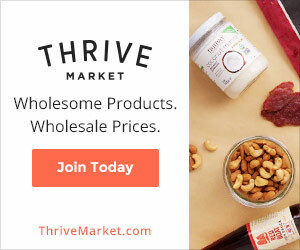 You guys have been asking me which brand I use for a while and, I just use the Whole Foods brand. It’s never let me down and I love it. But the real star of this smoothie is the Daily Good Greens. I mean, the amount of superfoods packed into one tiny packet seems surreal to me. I love that there are no artificial ingredients and everything is organically grown and wild-harvested. Before this was just a plain ol’ chocolate banana smoothie. 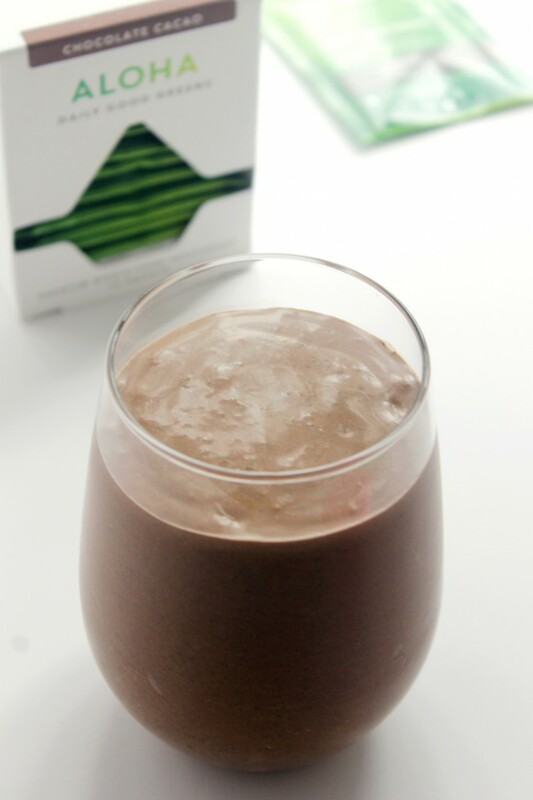 But now it’s a chocolate banana SUPERFOOD PACKED smoothie that even tastes amazing. Place all ingredients in the order listed into a blender and blend until smooth. 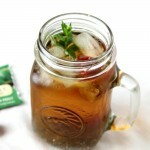 Pour into a glass and top with chia seeds or fresh fruit if desired. 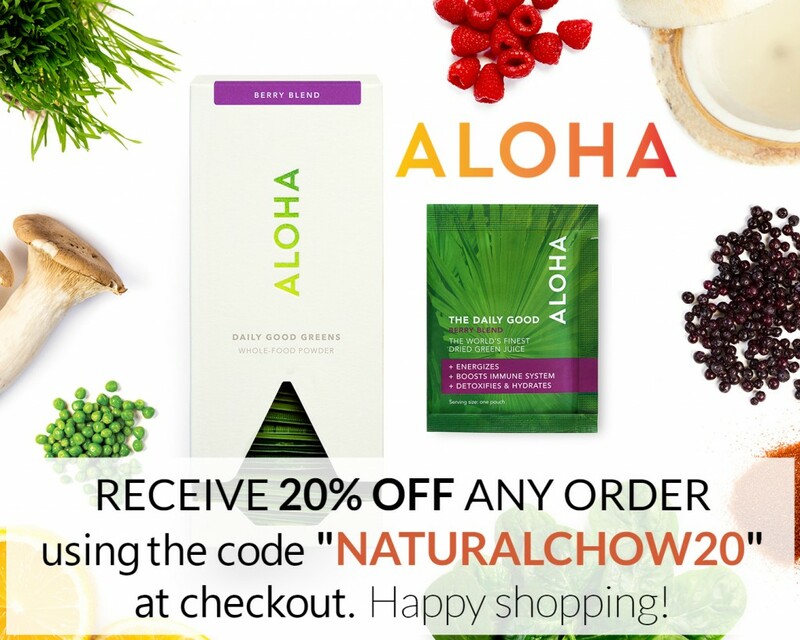 If you decide to order yourself (or family/friends) a box or two of the Daily Good Greens, use the code NATURALCHOW20 at checkout to receive 20% your order. 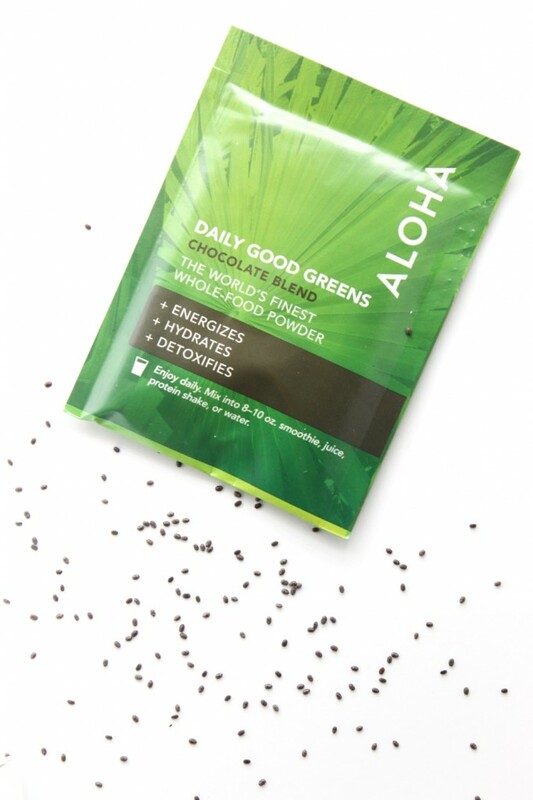 But don’t stop at the greens—ALOHA also has superfood chocolate! Yes, superfood chocolate. Trust me, you’re gonna wanna stock up on these babies. Warning: the cliche “delicious and nutritious” will come to mind. Hi there! Visiting from the Pin Junkie Pin Party. This looks so smooth and creamy! Thanks so much for sharing it! Yum! Great post. I have always wanted to try ALOHA! Sounds delicious! I love all the ingredients packed into those little packets. 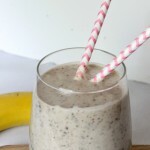 I have been relying a lot on smoothies lately for healthy meal replacements– they are so easy, always taste good, and are a great way to get veggies in when you don’t feel like eating anything! This sounds absolutely yum! Having a healthy smoothie everyday is really a good option if you want something healthy but being lazy to cook lol. 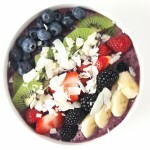 Love the Aloha bags, small yet packed with nutritions! Wow spinach included. Can you even taste that part of it when blended? Can these products only be ordered online or can they be bought in store? I live in Toronto. I’ve been using Vega products a lot but need to mix it up a bit.